Alan Turing was a famous Mathematician from England, who lived between June 23, 1912 and June 7, 1954. He became 41 years old. Alan Mathison Turing was a British mathematician who was a founding member of computer science. 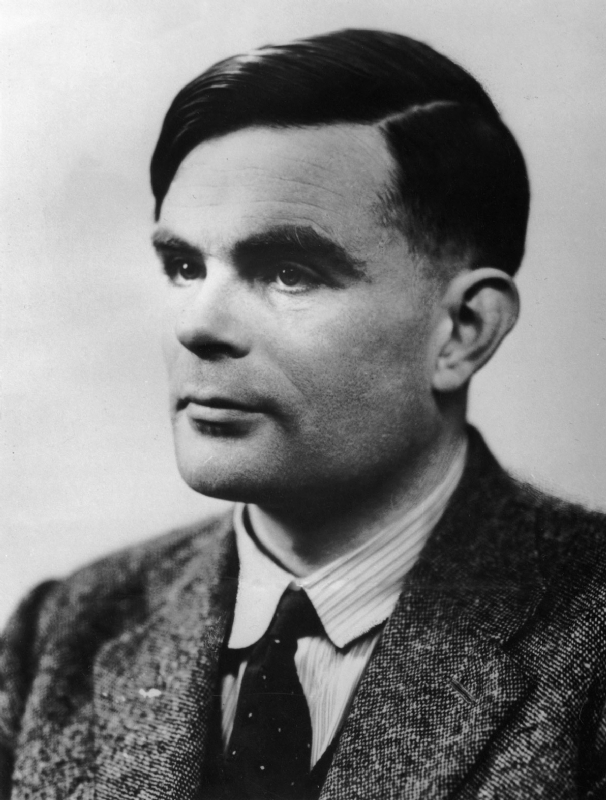 He is most famous for his Turing test and its universal Turing machine, and to have contributed significantly to the Allied victory in World War II by breaking the German Enigma code by team-work at Bletchley Park. The team was extremely complex: Turing himself, Polish mathematicians, the British champion in chess Hugh Alexander, writer Malcolm Muggeridge, and winners of the competition about who is fastest to solve a crossword-across-task in the Daily Telegraph (the record was set at 7 minutes and 57.5 seconds). He is born under the zodiac cancer, who is known for Emotion, Diplomatic, Intensity, Impulsive, Selective. Our collection contains 8 quotes who is written / told by Alan. "We are not interested in the fact that the brain has the consistency of cold porridge"
"Science is a differential equation. Religion is a boundary condition"
"No, I'm not interested in developing a powerful brain. All I'm after is just a mediocre brain, something like the President of the American Telephone and Telegraph Company"
"Mathematical reasoning may be regarded rather schematically as the exercise of a combination of two facilities, which we may call intuition and ingenuity"
"Machines take me by surprise with great frequency"
"I believe that at the end of the century the use of words and general educated opinion will have altered so much that one will be able to speak of machines thinking without expecting to be contradicted"
"A computer would deserve to be called intelligent if it could deceive a human into believing that it was human"
"We can only see a short distance ahead, but we can see plenty there that needs to be done"